Located near the corner of Montecito and Lenox, 265 Lenox Ave. (265 Lenox) is a classic 1950's property. 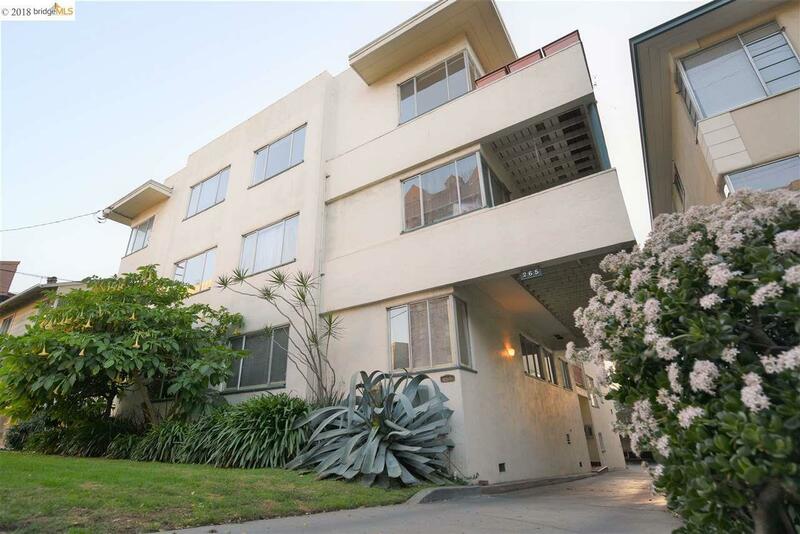 Built in 1952, next door to 180 Montecito Ave., 265 Lenox boasts 9 spacious apartments, six 1 bedroom/1bathroom units and three 2 bedroom/2 bathroom units. The property has 12 parking spaces for the 9 apartments, on-site laundry, ten storage spaces, and each apartment is equipped with a forced air heater and a water heater. The 2bd/2ba units are large enough to convert into 3bd/2ba units. An experienced buyer can realize the upside in this investment by updating the kitchens/bathrooms and/or converting the units by adding bedrooms. Located in Adams Point, one of the most coveted rental neighborhoods in Oakland, the property offers quick access to the 580 Freeway, Public Transportation on Grand Avenue. 265 Lenox is near Whole Foods, Grand Lake Theatre, and it is within walking distance to Uptown Oakland's fine dining, cafes, and the 1900 Broadway St Oakland BART Station.